WASHINGTON DC, Apr 04 (IPS) - Marcos Orellana is the environment and human rights director at Human Rights Watch. While residents across Prince Rupert, British Columbia are once again able to get safe drinking water from their taps, the boil-water advisory lifted there in late January should not be forgotten. Canada is a freshwater-rich country, but the time for complacency on essential water issues has long passed. Most people living in Canada have access to safe water. But drinking water advisories in the country about unsafe water have been concentrated in First Nation communities. As of December 31, there were six "boil-water advisories" and three "do not consume advisories" affecting eight First Nations Indigenous communities in British Columbia. The Prince Rupert boil-advisory responded to an increase in the levels of cryptosporidium and giardia, two parasites that cause intestinal health problems. The contamination is thought to have been brought on by the combination of a severe drought in British Columbia during the summer and a large storm surge that soon followed. Similar environmental and health problems can be expected to recur. According to the Intergovernmental Panel on Climate Change, the onslaught of extreme weather patterns caused by intensifying climate change will only continue. The water crisis in Prince Rupert lasted for nearly six weeks and left 12,000 people without drinking water, according to CBC News. It has overwhelmingly affected Indigenous communities. Tom Kertes, a volunteer organizer with Community for Clean Water–a grassroots organization in Prince Rupert -- told CBC, "The city almost treated it like an inconvenience. Clean water is not about convenience or inconvenience. It's about life and death and access to clean water is a human right." In June 2016, Human Rights Watch published a 92-page report that found that the Canadian government had failed to meet a range of international human rights obligations toward First Nations people and communities in Ontario by failing to remedy the severe water crisis. We found that the water crisis in First Nations communities in Ontario has persisted for decades. A primary contributor to the problem is the legal discrimination that exists related to the regulation and protection of drinking water for First Nations reserves. Provincial and territorial regulations governing safe drinking water and sanitation, which operate to protect the health of most Canadian residents, do not extend to First Nations reserves. Other factors compounding the problem include insufficient and unpredictable funding, tainted source water, and lack of capacity and support for water system operators. As a result, water on many First Nations reserves is not safe. In 1976, Canada became a party to the International Covenant on Economic, Social and Cultural Rights. In 2016, the UN Committee that monitors compliance with the treaty expressed concern about "the restricted access to safe drinking water and to sanitation by the First Nations as well as the lack of water regulations for the First Nations living on reserves." 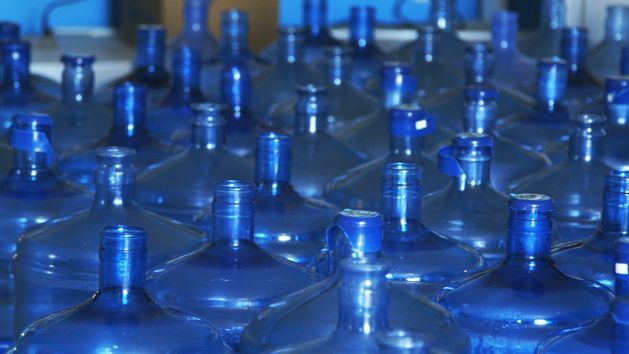 The Canadian government has taken measures to address the water crisis in First Nations reserves. In 2018, the Federal government began direct engagement with the Assembly of First Nations to repeal and replace flawed drinking water legislation passed in 2013. Funding to address the problems has increased since our Ontario report was issued, with the 2018 budget including an additional $173 million. In Ontario, 26 advisories were lifted in 14 communities as of mid-2018. But as of February 4, 2019, there were 62 long-term drinking advisories throughout Canada. The Neskantaga First Nation in Northern Ontario, for example, has had a water boil advisory in place for the last 23 years. Access to water is a human right under international law, and Canada's Constitution Act of 1982 provides for "essential public services of reasonable quality." This means that the authorities have an obligation—as well as a moral imperative—to uphold this right. It also empowers people to demand that their governments take concrete and deliberate steps to ensure access to safe and affordable water for the population. Canada still needs to do more to secure the right to water for all of its people and to live up to its commitments to First Nations communities. The right to safe drinking water is indispensable to a healthy life. Putting out a water advisory alerts residents to the problem, but doesn't do anything to solve it. The federal government should be working closely with First Nation communities to ensure that money allotted for water improvement is used efficiently and that sustainable solutions are created. The provincial government can help by engaging indigenous communities and advocating for their right to clean water. The Canadian government still has a lot of work to do, but it is critically important for the health of indigenous people to get the job done.